Seaweed hydrocolloid markets continue to grow, but instead of the 3–5% achieved in the 1980s and 1990s, the growth rate has fallen to 1–3% per year. This growth has been largely driven by emerging markets in China, Eastern Europe, Brazil, etc. Sales of agar, alginates and carrageenans in the US and Europe are holding up reasonably well in spite of the recession. However, price increases to offset costs in 2008 and 2009 have begun to have a dampening effect on sales, especially in markets where substitution or extension with less expensive ingredients is possible. These higher prices have been driven by higher energy, chemicals and seaweed costs. The higher seaweed costs reflect seaweed shortages, particularly for carrageenan-bearing seaweeds. The Philippines and Indonesia are the dominant producers of the farmed Kappaphycus and Eucheuma species upon which the carrageenan industry depends and both countries are experiencing factors limiting seaweed production. Similar tightening of seaweed supplies are beginning to show up in brown seaweeds used for extracting alginates, and in the red seaweeds for extracting agar. The structure of the industry is also undergoing change. Producers in China are getting stronger, and while they have not yet developed the marketing skills to compete effectively in the developed world markets, they have captured much of their home market. China does not produce the red and brown seaweeds needed for higher end food hydrocolloid production. Stocking their factories with raw material has led to the supply problems. Sales growth continues to suffer from few new product development successes in recent years; although some health care applications are showing some promise, i.e., carrageenan gel capsules and alginate micro-beads. 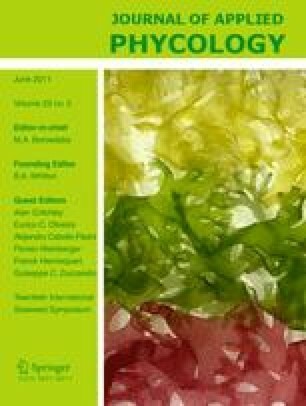 This paper has been prepared by the authors primarily from their own knowledge of the seaweed hydrocolloid industry, and we take full responsibilities for its contents. We also confess to having much more hands-on experience with the carrageenan industry than with the agar and alginates industries. Much of the quantitative data presented here is not available in the published literature. To verify our estimates of this information, we asked some of our colleagues to review our numbers. We are particularly indebted to Neil Lawson and Richard Searle, retired from Kelco/ISP and Monica Alquati of Alimex, for their assistance with the alginates sections and to Miquel Depolo and Rachid Lebbar, principals of Algas Marinas and Setexam, respectively, for their assistance with the agar sections. Marcial “Jun” Solante of Shemberg was most helpful with the history of cottonii pricing. The comprehensive work of Dennis McHugh reported in “A guide to the seaweed industry” FAO Fisheries Technical Paper No. 441 (2003) was invaluable to us in maintaining our perspective.